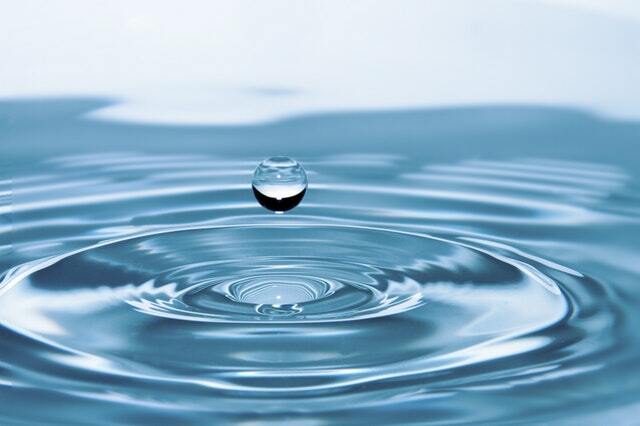 Purified water is one of the most important survival necessities. That doesn’t just mean water which has been made clear, because water can be clear but still unclean. If you’re looking for a ready-to-use filtration system, check out my pick at Amazon. The things that make water unsafe to drink aren’t so much the things which you can see, but the things you can’t see. Waterborne microscopic pathogens are what make the water dangerous to drink. What are these pathogens? They are bacteria, viruses and protozoa which may exist in the water and will enter your body if you drink the water. While it is possible to drink some types of these pathogens without harm, others will make you extremely sick and can even kill you. You can’t really count on any naturally occurring water being clean anymore. Even if you’re up in the mountains, drinking from a fresh mountain stream, you have no way of knowing if someone is upstream of you or not. 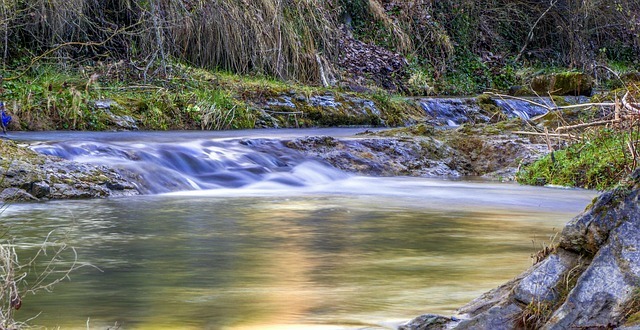 If they use the stream as a toilet or if some animal dies in it, it could taint the water, making it dangerous for you to drink. Likewise, rainwater, which we would expect to be clean, may not be if you collect it off your roof. Birds who have used your roof for a bathroom may have left pathogens behind to be collected by that rainwater. The only safe thing to do in a survival situation it to purify all the water that you drink. You can do this by boiling the water, but you can also do it with chemicals or by filtering. A properly constructed filter will clean out most of the pathogens, making it safe to drink. There are commercial filters available on the market for filtering water, but you may not have access to them in a survival situation. In that case, you may need to make your own. One way is to make what is known as a bio-filter. This is a three-layered filter, which functions much like a water treatment plant does. Water that is passed through a bio-filter is 99% safe to drink. 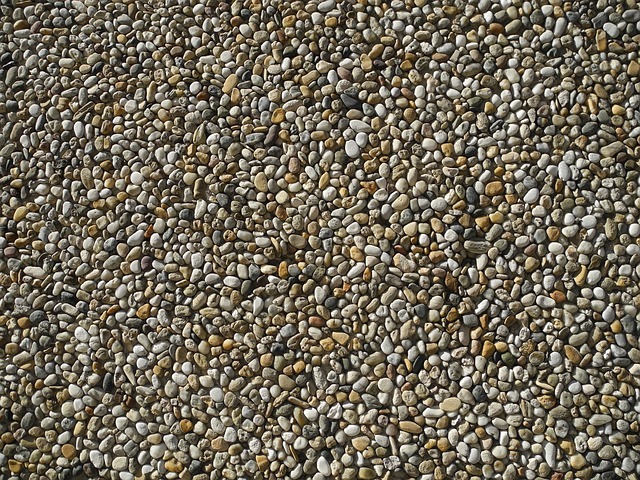 The pea gravel filters out larger solids and the sand filters out smaller ones. But the real secret to the filter is the activated charcoal or activated carbon layer (they’re basically the same thing). 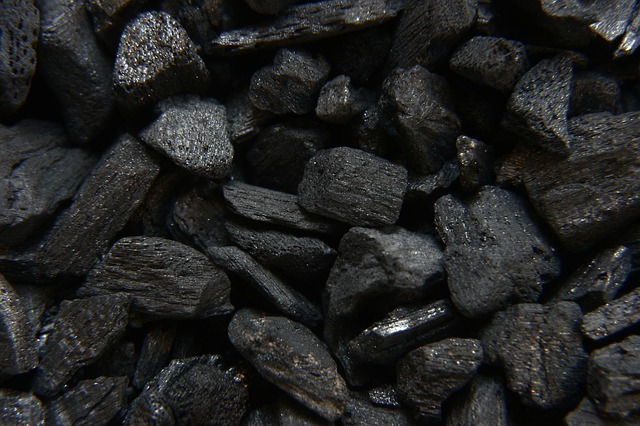 Activated charcoal is different from normal charcoal in that it has been treated to open up the pores on the charcoal. That makes it so that each gram of activated charcoal has over 500 square meters of surface area. It’s not a smooth surface area either, but one with lots of nooks and crannies for the bacteria to lodge in. It is the activated charcoal layer which removes the pathogens from the water, making it safe to drink. You can buy activated charcoal from any pet supply which provides supplies for fish tanks. Activated charcoal is used in the fish tank filters. Some people add an additional layer of sand and pea gravel below the activated charcoal, but as you can see, those layers really don’t provide any additional filtration. So, they really aren’t worth adding. Check out my recommendation for a ready-to-use filtration system at Amazon. A bio filter can be made in pretty much any container. I’ve seen a lot of people who have made theirs out of an empty soda bottle. Personally, I don’t trust a bio-filter that small. The more filtering medium that the water has to pass through, the better a job the filter is going to do. So, I prefer a bio-filter that is made out of three, five gallon buckets; one for each of the filtering mediums used. You could make it in one five gallon bucket, but once again, I prefer having more filter medium available for the water to pass through. If you make it in one bucket, the biggest problem you have is keeping the filter mediums from mixing. To prevent this, separate the layers with clean cloth. When making a bio filter with three buckets, the cloth isn’t needed, but something is needed to keep the materials from migrating from one bucket to the next, so the first thing we must do is prepare the buckets. It would be simple to drill a hole in the bottom of one bucket and the lid of another. While this would allow the water to flow from one to the other, it would also allow the gravel and sand to travel from one bucket to the next. Since we don’t want that to happen, we need to put a fitting in between the buckets which will block the flow of sand and gravel, while allowing the water to flow through. The fittings we are going to use are standard 1/2″ PVC pipe fittings, available at any home improvement center. We need two fittings; a coupler that is 1/2″ female slip by 1/2″ female pipe thread and an adapter that is 1/2″ female slip by 1/2″ male pipe thread. We also need a 3/4″ thick O-ring, which should be available in the plumbing section, where they have the parts for repairing faucets and toilets. If you look at the picture, you can see that I’ve glued screening material to the slip end of the coupler with five minute epoxy. However, this screen isn’t strong enough to support the weight of 50 pounds of sand or gravel, so we’re going to need to protect it. Drill a 7/8″ hole in the bottom center of each bucket. A spade bit or hole saw will work well for this. If there is a burr left from drilling the hole, clean it up by scraping the edge with a sharp knife. Assemble the fittings through this hole in the bottom of the bucket, as shown in the photo. The O-ring goes on the inside of the bucket, along with the coupling that has the screen glued onto it. Tighten the two fittings until you see the O-ring stating to compress. We will now need to put a shield over the screen to protect it from the weight of the sand. This is made from a dollar store plastic cup, which has a couple of notches cut into the rim of it. The cup has to be tall enough to clear the fitting inside the bucket, but doesn’t need to be much taller than that. In the case of the cup in the photo, I also cut the cup down, as it was too tall. Hopefully you can find a cup where you don’t have to do that. The modified cup is glued in place over the fittings, on the inside of the bucket. The sand and gravel will press down on the cup, but not on the filter. The water will be able to flow to the bottom of the bucket, where it can enter through the notches to gain access to the fitting and flow down to the next bucket. One last thing that has to be done to the buckets is to drill a 1-1/2″ to 2″ hole in the center of two of the bucket lids. This will allow the fitting on the bottom of the bucket above to fit into the hole and allow the water to flow between buckets. The top bucket doesn’t need a hole in the lid, as you’ll leave that lid removable for pouring the water in. For a three bucket filter, you’ll need 50 pounds of pea gravel, 50 pounds of sand and 25 pounds of activated charcoal or activated carbon. The activated charcoal is much lighter than the other materials, so 25 pounds will actually be more bulk. All three of these materials need to be rinsed thoroughly before use. Both the sand and gravel will have some dirt in with it and the charcoal will have charcoal dust. You must rinse the dirt and charcoal dust out of the filter mediums before they can be used. It’s best to do this with about ten pounds of the material at a time, as it’s hard to work with more than that at once. Put it in another bucket and fill it with water; then swish the filtering medium around in the water. Once the water is cloudy, pour it off. You will have to do this a number of times with each batch of material, until the water is no longer getting cloudy from it. Once the filtering medium is washed it can be put into the buckets. I’d recommend marking the buckets to show what’s in them, just to avoid confusion and keep you from having to open the buckets back up and see what’s inside them. Your first few gallons of water through the filter will probably still be cloudy, even after all the rinsing. That’s okay. Keep running water through it until it comes out clean. Then, it’s good to go. How Long Does a Bio-Filter Last? The gravel and sand in the bio-filter can’t go bad. About the worst that can happen with them is that they begin to get clogged up with debris. If that happens, you can rinse them once again, just as you did when you were building the bio-filter. On the other hand, the activated charcoal in the filter will eventually go bad. Actually, it’s not that the activated charcoal will go bad, but rather that it will become filled with dead bacteria and other pathogens. While microscopic in size, they will eventually build up to the point where the carbon isn’t capturing new bacteria. At that point, you need to replace it or regenerate it. There is no actual set time in which you will know that your activated carbon is ready to be replaced. In most cases, you can figure that after filtering about 2,000 gallons of water, it’s time to do something about it. You can regenerate the carbon with heat or bleach. If you don’t want to dispose of your activated carbon and replace it, it will be necessary to kill all the pathogens in it. This can either be done chemically or with heat. Bacteria die at a temperature of 158oF, so if you put the carbon in a pot of water and bring it up to that point, you will kill them all. If you don’t have any way of measuring the temperature, then just bring the temperature of the water to boiling. That will ensure that you’ve killed all the bacteria. Once you do that, you’ll need to rinse it, just as you did when you were making the filter, to get all the biological material out of the carbon. Make sure you rinse it thoroughly, as you want to open the pores up in the activated carbon. For a chemical regeneration put the activated carbon in a bucket of water containing 10 percent bleach. Stir it around to ensure that the bleach gets to all the surfaces in the carbon. Allow it to soak for a minimum of 20 minutes and then rinse out the carbon thoroughly. Take your hiking adventures to the next level with the best hiking watches on the market. Need a new pair of hiking boot that won’t break the bank? Here are my recommendations for the best affordable hiking boots. Are you new to climbing and looking for a pair of shoes to get you started? Check out these choices for the best climbing shoes for beginners. I love the article, but it would have been better with the pictures.